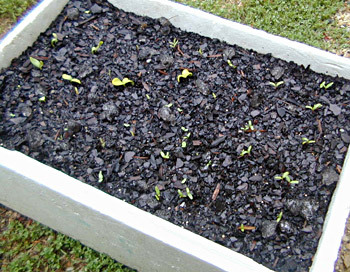 This is perhaps the easiest way to get started with a vegetable garden. You don't even need to have a garden. 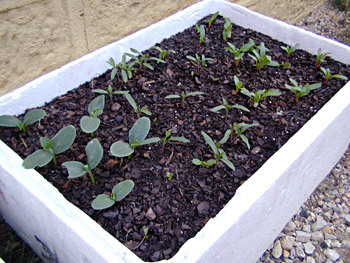 All you need is a styrofoam box or other suitable box, some potting mix (or soil), and some seeds. 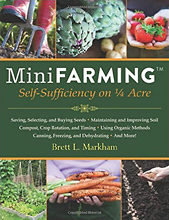 The box garden is described here in an extract from Jackie French's book "Backyard Self-Sufficiency". 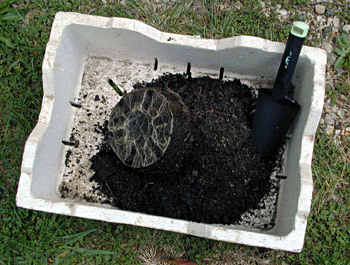 A small styrofoam box. This one has holes in the bottom, which are needed for the water to drain out. The dips in the tops of the sides are annoying since they reduce the usable depth of the box. 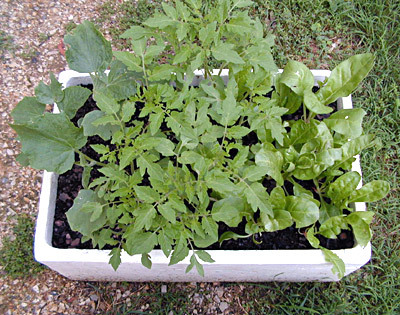 This is a larger box, which is a better size for a box garden unless you would have trouble with moving it around when full of dirt. This box did not have holes in the bottom, so I drilled some. I used a drill for this, although it would be possible to use other tools if you do not have a drill. 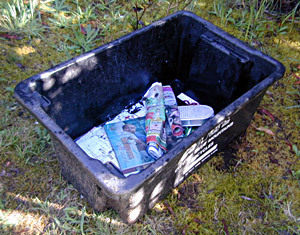 Any box that will not disintegrate when wet (as would an ordinary cardboard	box) will do. 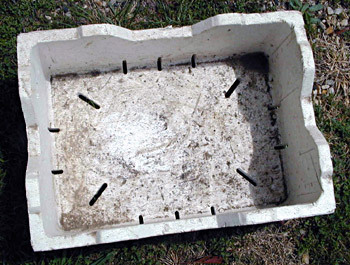 This plastic recycling box would be excellent if some drainage holes were drilled into the bottom. Some potting mix. The friendly lady at the local nursery said that this was the best kind to use. And that she grew her own vegies in a box like this, even though she has her own house and garden. I used approximately	one bag per box. 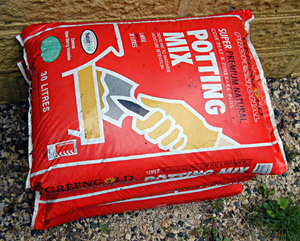 I imagine that almost any ordinary potting mix would also work. 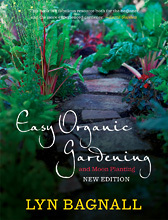 Soil from your garden would be good too, if it is fertile, meaning that it has	a	lot	of	organic	content and nutrients. You also need some seeds. 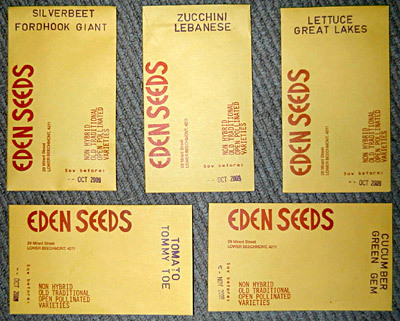 These are from Eden Seeds. They are the old traditional open pollinated varieties and have no chemical treatment, and no genetic engineering. 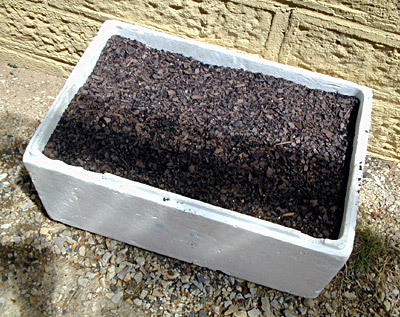 If you have some old dead potplants, put the soil on the bottom so you can use less potting mix. I planted the seeds a lot closer to each other than it said to on the pack, thinking that I would thin them out later and plant some in my actual garden. It says on the seed packets how deep to plant them. 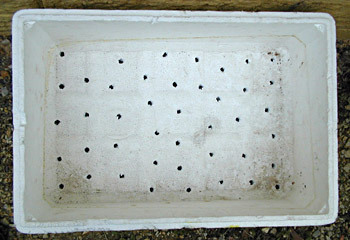 The box below has been sown with the seeds as illustrated above. Give it a good water once the seeds go in. The box garden just after planting, 30 October 2007. 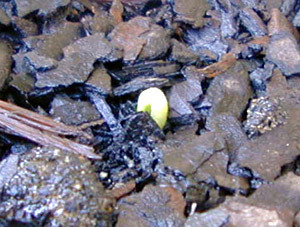 The first sprout coming up through the earth, after five days, on 4	November 2007. 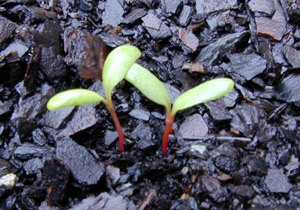 The growing sprouts after 10 days, on 9 November. The box garden after 10 days, on 9 November. 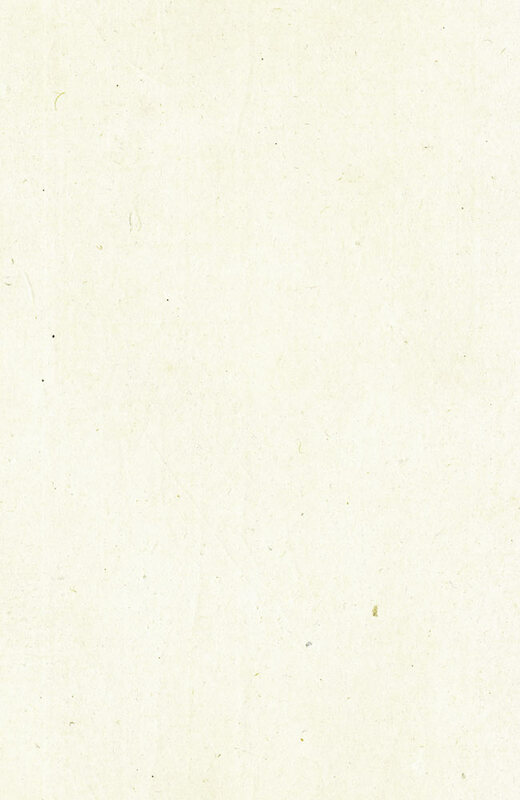 After 18 days, on 17 November. After 35 days, on 4 December. The next step is to thin these out by transferring some to the garden or to another box.